Home / Baby Products / (2 Pack) 2 Step Stool for Kids with 2 Free Finger Pinch Guards! 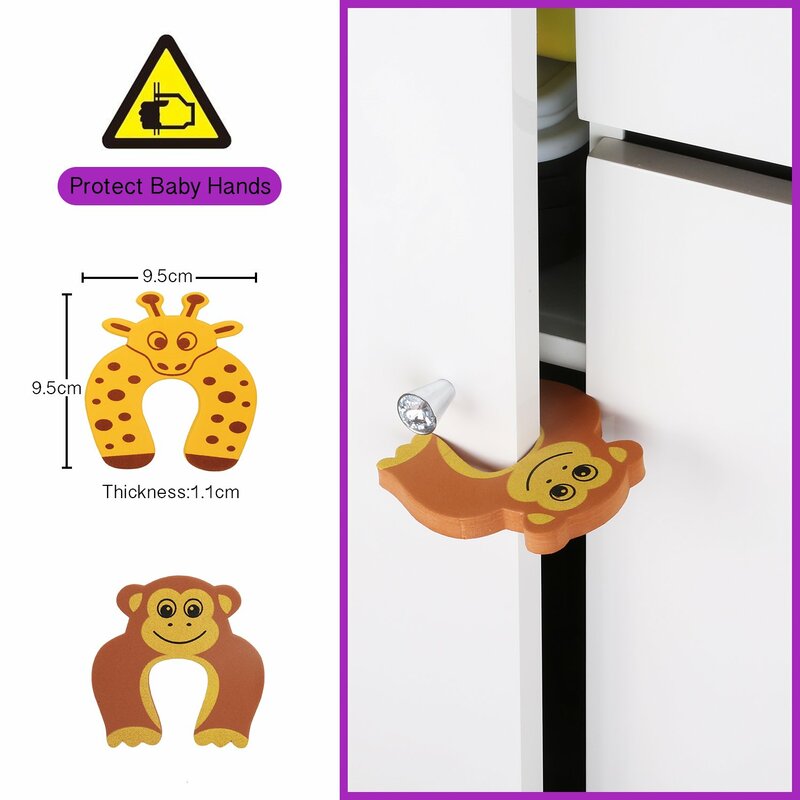 Perfect for The Bathroom and Kitchen, with Extra Thick Anti-Slip Rubber Feet. 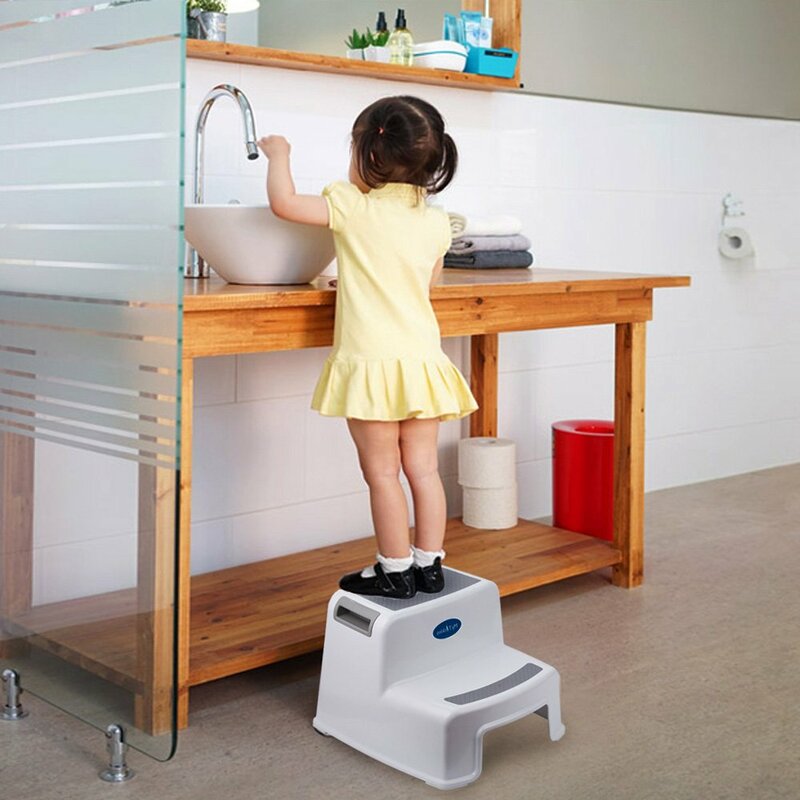 IF YOU’RE LOOKING FOR A STEP STOOL FOR YOUR LITTLE ONE LOOK NO FURTHER WE HAVE THE MOST AMAZING ONE WITH A GREAT OFFER AT THE MOMENT! 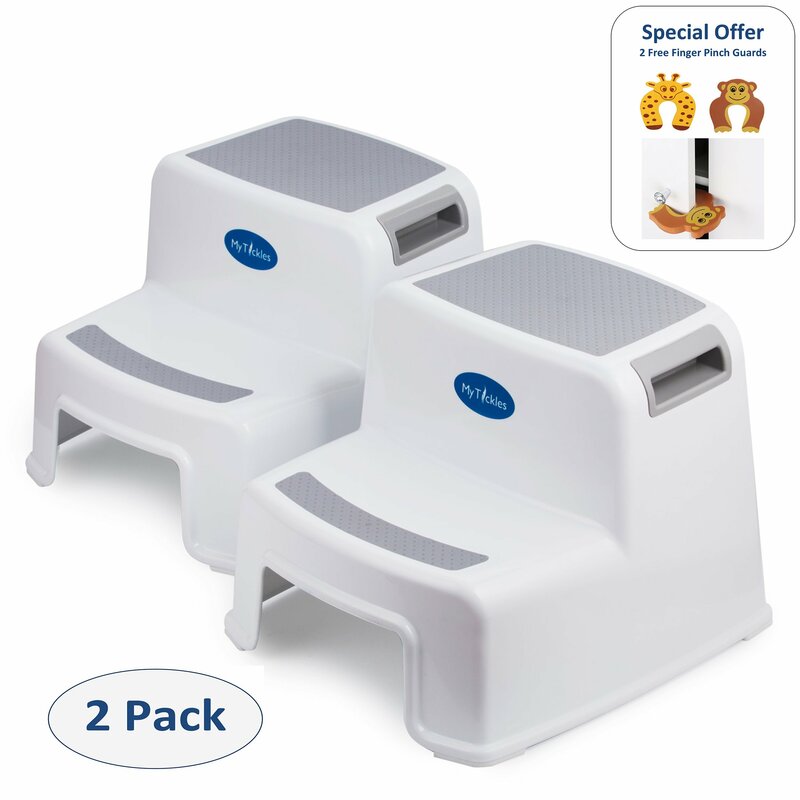 A Set of 2 MyTickles Premium 2 Step Stools , Strong and Sturdy With Safety Measures To Ensure Your Little One feels Safe and Secure Whilst Building Up their Independence. 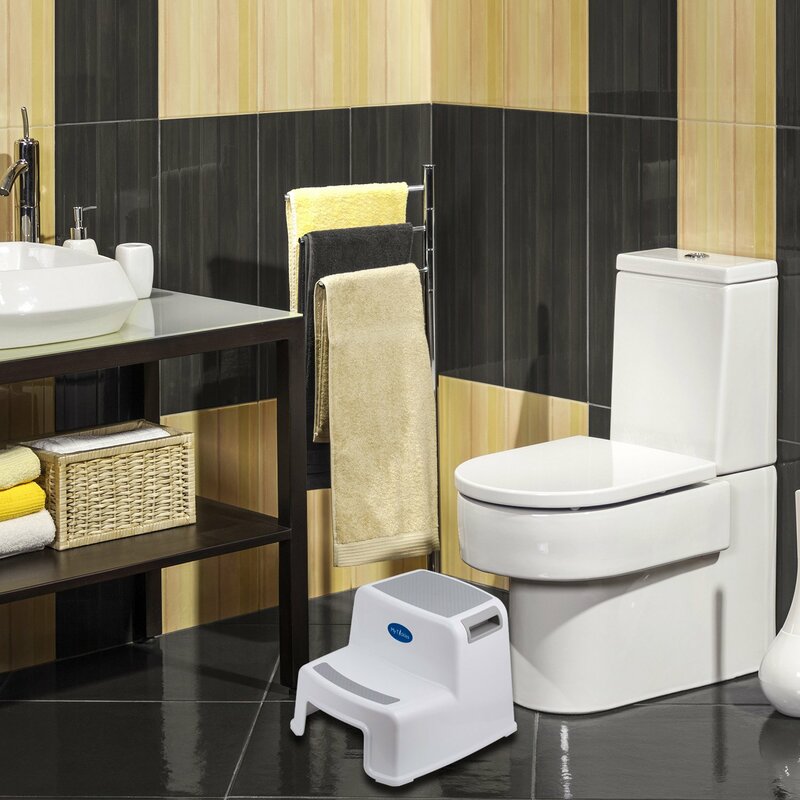 We Would Love Our Stool To Be The One Used For Those Defining Moments Of their First Steps Up To The Toilet Seat, Standing up Tall Whilst Brushing Their Teeth And Even Trying to help Mommy or Daddy Do the Dishes or Laying Out the Table For Dinner! This Portable Versatile Stool is One for You. 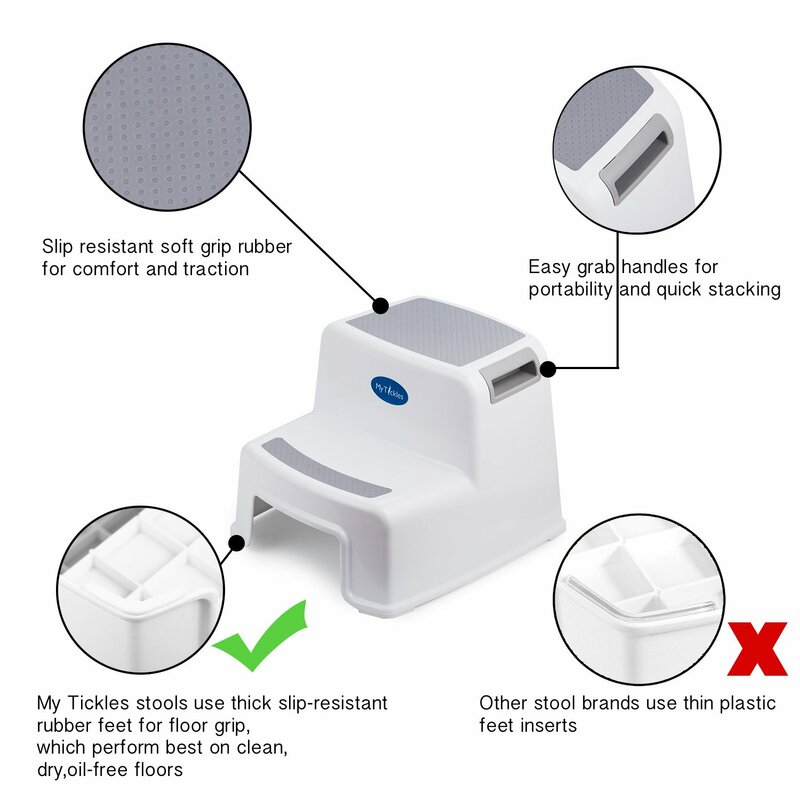 SAFETY & COMFORT – We Understand How Important Safety Is For Your Little One, So We Have Taken Every Care To Ensure MyTickles Step Stool Is To Your Satisfaction. We Use Thick Slip-Resistant Feet That Provides Safety On Most Floor Types. 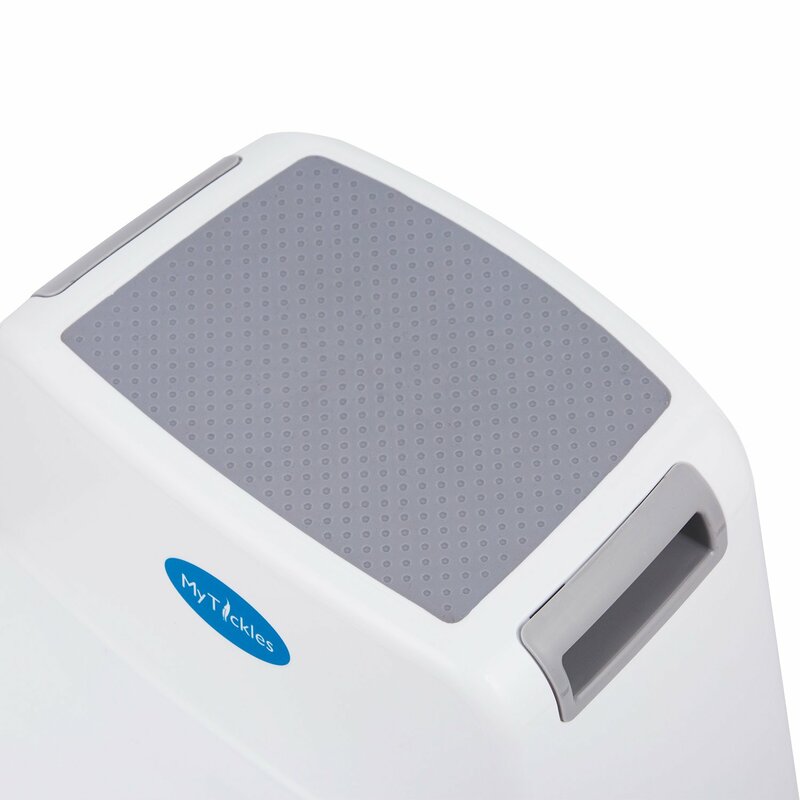 The Stool Also Features Soft Grip Steps, Which Will Provide The Little One The Support And Comfort They Require To Be Independent. 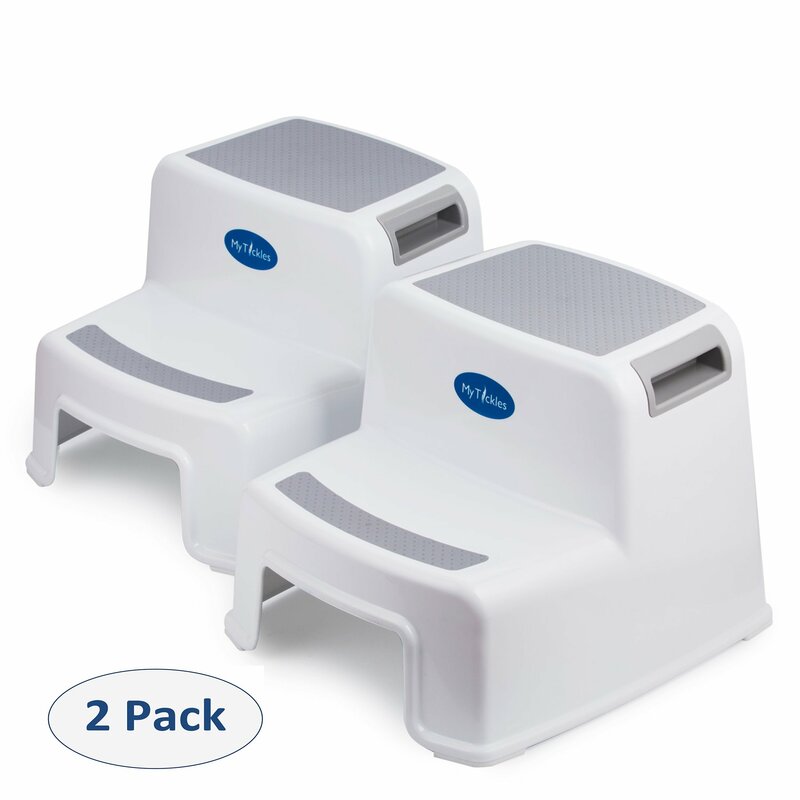 PRODUCT INFO 2 Premium 2 Step Stools in a Stylish White With Gray Slip Grip Steps and Thick Slip Resistant Feet. The Stool Dimensions are: Height -10.5 Inches, Width – 12.7 Inches , Depth 14 Inches. 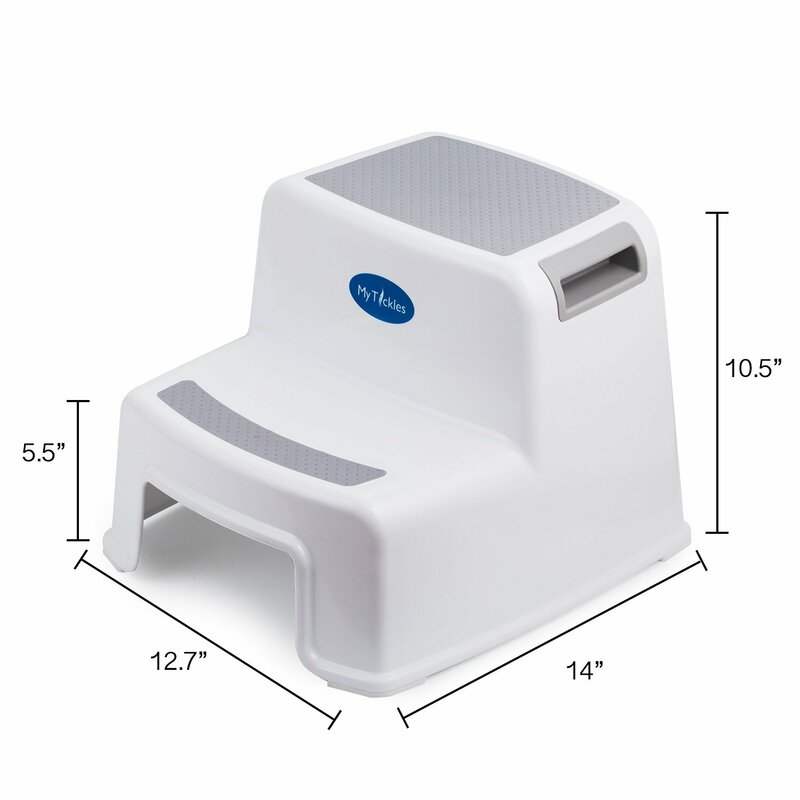 VERSATILE & PORTABLE MyTickles 2 Step Stool Is Perfect For Use In Any Room Of The House. Light and Portable Design Equipped With Two Handy Grip Handles To Make It Easy To Move And Carry. The Stools Are Easily Stackable For Easy Storage. 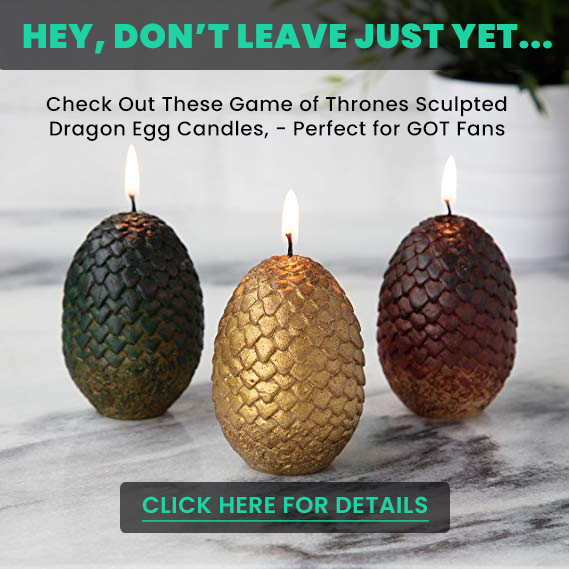 WITH AN AMAZING LIFETIME GUARANTEE GO AHEAD AND CLICK “ADD TO CART” NOW AND BEGIN A NEW WONDERFUL JOURNEY AND EXPERIENCE!